Almost one and a half years back Worldspace Radio had announced that it would shut down it's operations in India. This definitely left more than 450,000 local subscribers of Worldspace, annoyed who had joined the radio service as combined offers from Airtel DTH pay-television service. However, Digitizor has now learned that Worldspace would be relaunching in India as a strategic Partnership between India's multimedia giant SaReGaMa India Ltd. and Timbre Media. Timbre Media was started by the existing employe es of Worldspace satellite radio in India. The company started in early 2010 and has now established new studios in Bangalore and Mumbai to delivers customized and other premium audio content to customers in India and overseas. 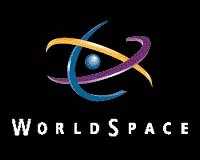 Timbre Media has also secured an exclusive license to use the Worldspace brand in India. Saregama India Ltd. and Timbre Media Pvt. Ltd. announced a strategic alliance under which Saregama has acquired a 10% equity stake in Timbre Media and the two parties will partner to provide a high-quality and variety of genre-based radio channels to the Indian market. With this, the Saregama India-Timbre Media alliance brings back the legacy of WORLDSPACE radio whose name is synonymous with genre-based programming excellence. The two companies plan to use content from Saregama’s industry-leading and extensive library as well as from other popular labels to provide unparalleled 24-hour stations of Indian music ranging from old hindi films, hindustani classical, Carnatic classical, new hindi music, ghazals and stations in all major Indian languages.